August 2017 - Previous Photograph Competitions - Military Airshows. 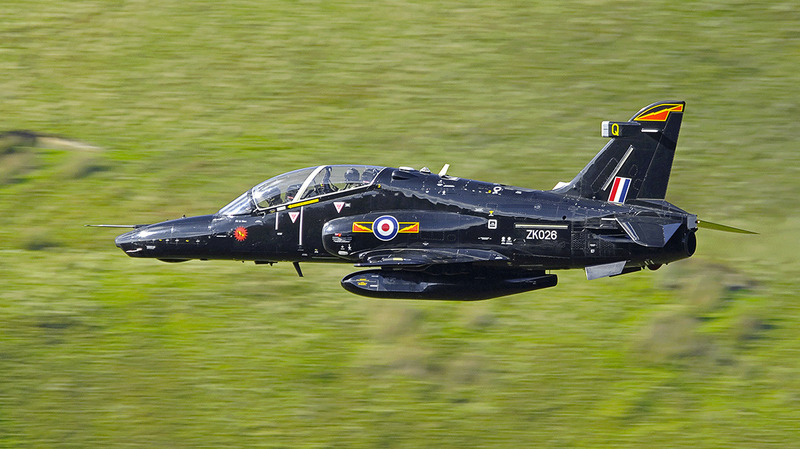 RAF Valley Hawk T2 low level in Mid Wales. Taken on a Nikon D7000 with Sigma 150-500mm lens. Solo Turk F-16 at the BAF show, Kleine-Brogel, in 2014, with my Canon EOS700D, and 70-300 IS USM lens. Peter Busby Yak-3 at Duxford taken on Nikon D600. Michael Bowyer Tornado GR4 ZD709 of 31 Sqdn taking off from RAF Fairford at the conclusion of RIAT 2004. Cannon EOS 10D, f4.5, 1/125. F22 Raptor taken on RIAT departures day using Sony a99ii & Sigma 50-500 lens. Steve Catlett RAF Typhoon at this years RIAT. Nikon D500, Sigma 150mm-600mm Sport, ISO100, 1/50, f/22. Richard Marks Typical Rich Goodwin in his muscle Pitts. F-16 departing RIAT on Monday morning with full afterburners. Taken with my iPhone 5s.